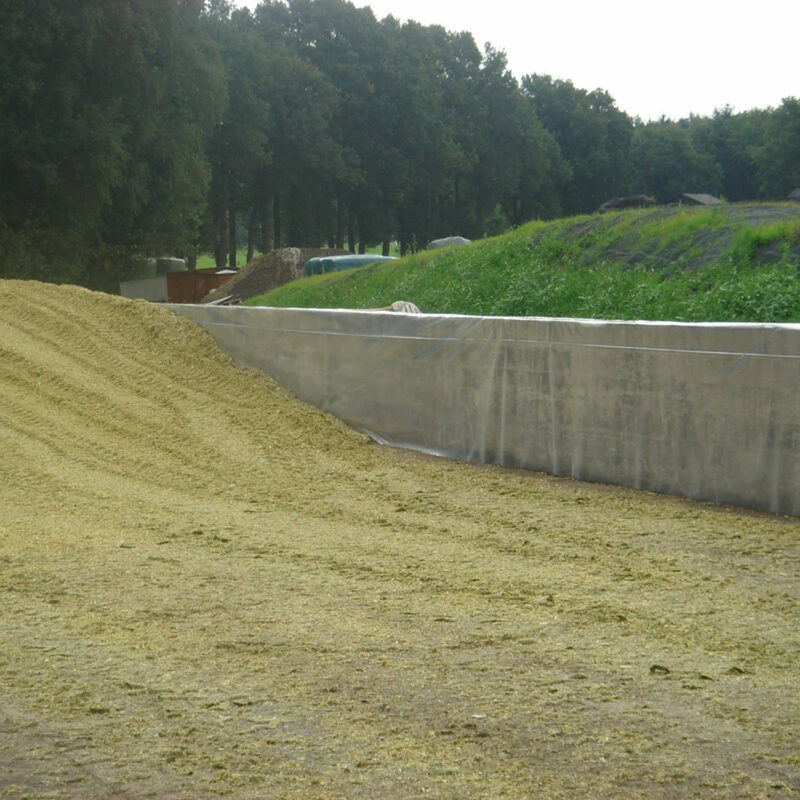 The RaniSidewall film stops oxygen from permeating through the walls and damaging the silage. At the same time, the film also protects the concrete walls from acids, which may be formed during the fermentation process. The width of RaniSidewall should be two times the height of the wall. This allows enough film to be folded over the shoulder of the clamp, thus protecting the most sensitive part of the clamp.